Diffrent Music is very proud to present the launch of Fearful’s debut album, ‘Interference’. Over two years in the making, we’re excited for you in to finally hear the forward-thinking blend of drum & bass, techno and ambient music that Fearful has woven together. 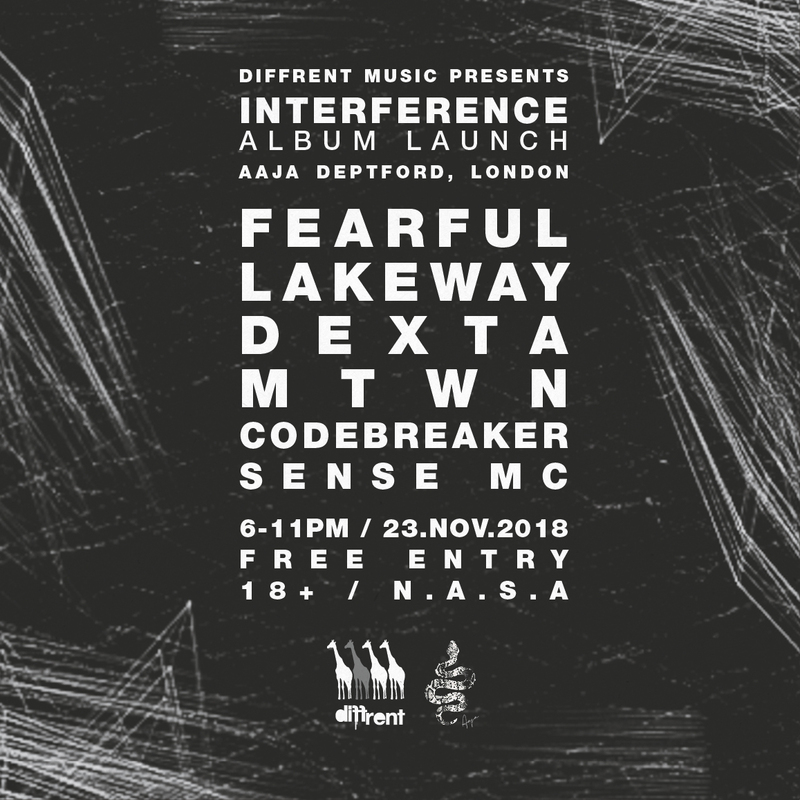 To celebrate, we’re heading to the intimate new AAJA venue in Deptford, presenting the first ever performance of Fearful’s live show, along with a selection of sets from the album’s collaborators! Join us for a unique Friday evening to match a truly unique album.